Beehive Geyser is the tallest regularly-performing geyser in the Geyser Hill Group of Yellowstone's Upper Geyser Basin. Eruption columns are steady, relatively slender, and reach 150 to 200 feet high. 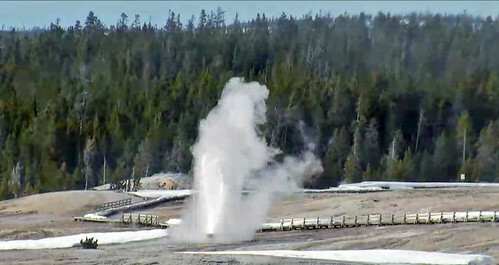 In recent years, Beehive Geyser erupts approximately once a day for about five minutes. Eruptions are usually preceded by an eruption from Beehive's Indicator Geyser, located about 7 feet away from the northeastern base of Beehive's cone.